Have you ever felt that Success is not good enough, that the deal you just closed is not sweet enough, anymore? 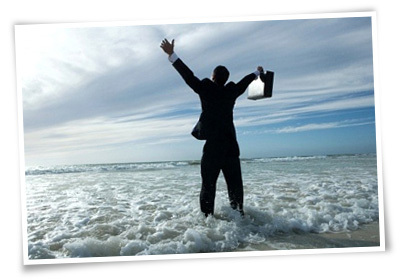 Have you ever wondered if there is more to just achieving more success and acquiring more things in life? Most people have. In fact, hundreds of thousands of people turn 50 years old each day in major cities around the world, and more than half of these individuals want more meaning and significance in their second half. Are these questions familiar in your mind? I have accomplished what I set out to do, but is there more to life? Am I alone in feeling this way? How much (stuff, money, advancement) is enough? In what ways is my success a platform for something even more meaningful? What am I really passionate about? What are my core values and greatest strengths? How can I find eternal significance? How might my spouse and I share this new experience? Who can come alongside me to provide wisdom and insights during this journey? How can I open up enough margins in my life to pursue my calling? How do I prepare myself and my family for this transition? What legacy do I desire to leave through my children and grandchildren? What specific arenas of service might fit my skills and passions? Welcome to Halftime! Over the past decade, the Halftime® organization (www.halftime.org) has become the leading authority in this space. We focus our efforts on individuals just like you—financially independent marketplace leaders with a deep desire for a second half rich in eternal significance. In 1995, Bob Buford captured his thoughts on the transition from success to significance in a book called Halftime (Zondervan, 1995). This was a natural outgrowth of Bob's personal journey. 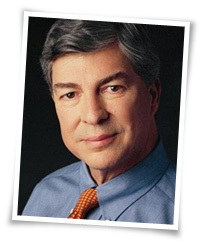 After building a tremendously successful cable television business, Buford had embarked on a parallel life of service—by founding Leadership Network (www.leadnet.org), a non-profit that enhances innovative church practices, and helping launch the Peter F. Drucker Foundation for Nonprofit Management. But the publication and huge success of the book Halftime, marked a turning point for Bob and put words to what many people were already feeling. People from all over the country contacted Bob, affirming that he had captured "exactly what I've been feeling." Soon, business and professional leaders were urging Bob to create an avenue for those who wanted to answer "yes" to the call of halftime. In 1998, with the counsel of Peter Drucker, Bob responded by forming the organization that is today known as Halftime (formerly FaithWorks). This fast-growing organization has now grown to include dozens of staff and partners all across the country. Today, Halftime provides a wide array of products, services and experiences both directly and indirectly through other channels (including financial professionals, ministries and churches). The commitment is to personally walk with individual Halftimers to help them discover and live out God's call in a sustainable way. What is Halftime? The Halftime® organization is, hence in essence, a community of individuals together seeking to support, encourage, learn and accelerate the attainment of a life that is truly significant. Have you achieved success—only to find that something is missing? If so, you may be ready to begin the most exciting journey of your life - the journey from success to significance. It's commonly called Halftime. Halftime is a season of life that offers the opportunity to look back on what you've accomplished, understand who you are, and then re-direct your time and talent for an even more purposeful second half. How do I begin to find the serving opportunities that fit me? How do I decide between various serving opportunities? How can I make my new vision fit with my financial situation? Where can I make my highest and best contribution? How will I measure my effectiveness? Am I growing closer to God and to those I love as I embark on this new journey? How can Halftime Asia help you? 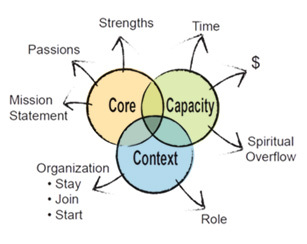 Context (the organization, setting and role that's your second-half sweet spot to carry out your mission). and (not in photo) San Wee and Leonard Yeow. Summits; these are 2.5 days duration sessions of invited participants who qualify the invitation shortlist, and they journey together and learn from each other and the workshop leader about their Halftime journeys. One-to-one personal Haltime coaching by certified Halftime coaches. 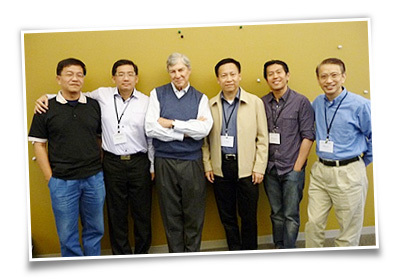 Halftime Summits 2012 – Summit 1 will be from October 8 – 10, 2012 and Summit II will be from October 11 – 13, 2012. Contact Halftime Asia If you are interested to participate in our activities, we would like to hear from you. Copyright Halftime Asia. All rights reserved.